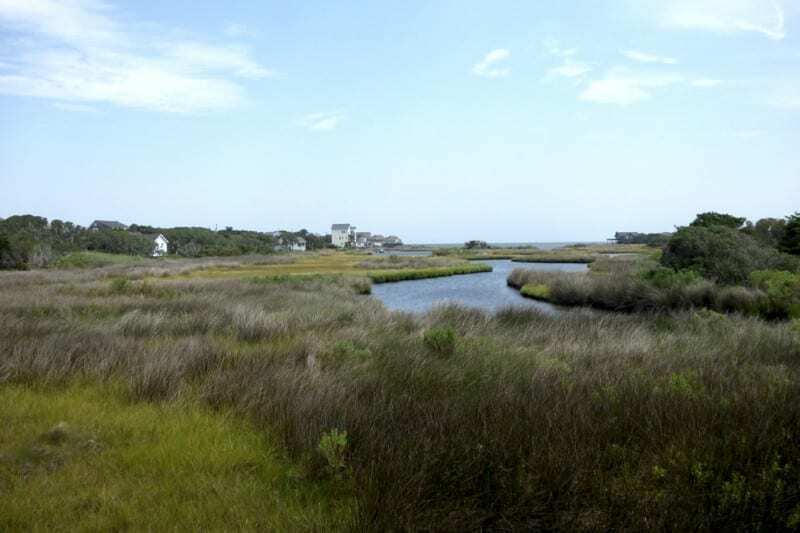 Looking across the marsh behind the Hatteras Island Ocean Center, the vista is remote and beautiful. We’re standing on a dock that is the only public kayak and stand-up paddle board put-in site in Hatteras Village, Eric Kaplan, the center’s founder, notes. The dock is on Little Ditch Creek, about a 15-minute paddle from the sound. Teeming with life, the marsh serves as a natural complement for the Ocean Center’s indoor exhibits. 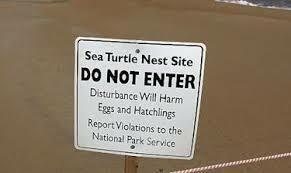 The Ocean Center’s work includes a study of sea turtle nesting that may be the first of its kind. Kaplan, who has a background in computer programming, felt there was a way to measure when the eggs were about to hatch or if the nest was viable. He talked to the National Park Service. The program started late last year but was too late in the season to get any good data. “The plan this year is to instrument about 20 nests, and see what we can learn,” Kaplan said. Working with a few summer interns and local fishermen like “Tall Bill” van Druten, a former science teacher, the center offers educational programs that are geared to kids but keep adults engaged. It also runs kayak tours. The center is in what was once a small shopping plaza toward the north end of Hatteras Village. It has started small, but Kaplan has a broader vision. With Frisco Pier condemned and no hope of being repaired, Kaplan and his board of directors began with the plan of building a pier on the north end of the village . It would be a small version of state-owned Jennette’s Pier in Nags Head. The concept for the center grew from the decision to acquire the property to build the pier. 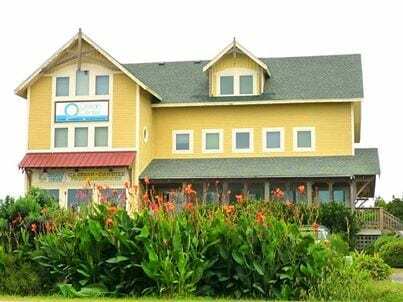 The nonprofit Hatteras Island Ocean Center Inc. was formed. “We needed a nonprofit to do that,” Kaplan said. The pier property is located between the Sea Gull Motel and Hatteras Cabanas about 600 yards north of the center. It is an open stretch of beach now, but Kaplan’s vision includes a 10,000-square-foot pier house and a concrete pier. The plan has some surprising backers. “It was actually the NPS that suggested it was a good place to put a pier.” Kaplan said. The NPS felt strongly enough about the project, Kaplan said, that it has an eight-page memorandum of intent with the center. “It’s still sitting dormant primarily for funding reasons,” Kaplan explained. But plans have been drawn up and Kaplan is hoping some large donors will come forward. The pier and the ecology center are part of an overall vision Kaplan has for Hatteras Village. The center is on the north end of Hatteras Village. Hailing from Charlottesville, Va, he sees the Center as part of a larger plan to bring back an area struggling to recover from weather disasters and other factors. “I like to use the term economic revitalization,” Kaplan said. “For this area, ecotourism makes sense. Ecotourism is about areas that have interesting ecology and interesting history, and we are thick with history here. Learn more about the Hatteras Island Ocean Center at www.hioceancenter.org.